We recently celebrated the 20th Anniversary of our Making Money Make Change conference! 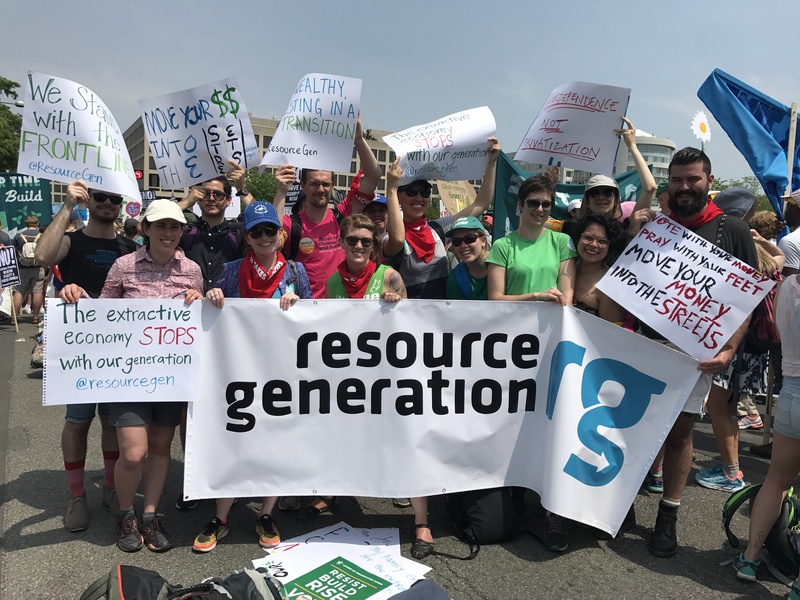 Making Money Make Change has been a signature part of Resource Generation’s work since our founding back in 1998. 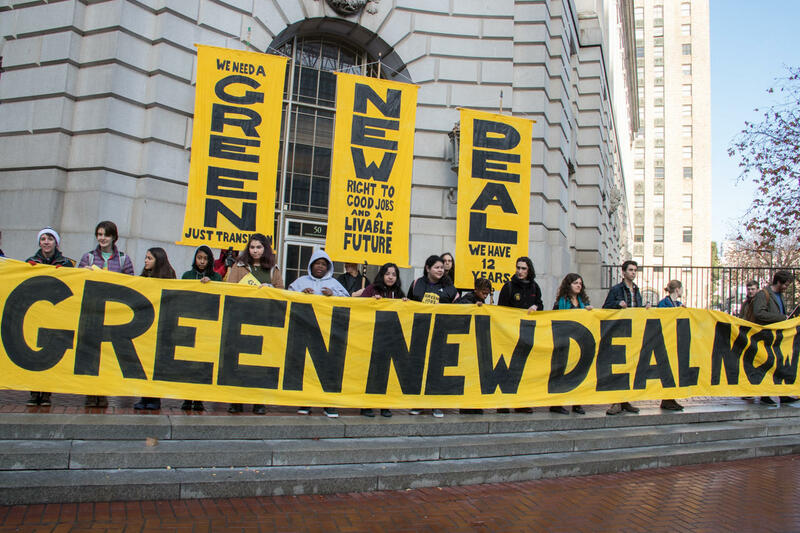 The original conference was a joint vision and collaboration between wealthy young people who wanted to get involved in social justice organizing and poor and working-class activists. Third Wave Fund organized the first MMMC with RG and until 2010 the conference was a joint project between Resource Generation, Third Wave, Tides Foundation, and the former Funding Exchange. I was proud to be part of the 20th MMMC from Oct 25-28 in Annandale, Minneapolis. We sold out the conference with over 120 people in attendance, including 96 young people with wealth, dozens of presenters and partner organizations, as well as board members and alumni. With a mix of people brand new to RG and long-time partners, the conference was a reflection of our history, our growth, and our vision for what’s next. Representatives from the Movement for Black Lives and Center for Popular Democracy, who we are exploring building campaign partnerships with, presented workshops and participated in the conference for the first time. Their presence, insights, and energy grounded the conference in grassroots organizing and the urgency of the current political moment, and was an important first step in building trust for a long-term cross-class, multi-racial alliance. We launched RG’s Giving Guidelines and Giving Pledge, which reflect our collective commitment to wealth redistribution and reparations. Through our action booth, 75 young people with wealth signed the pledge, committing to move $8.5 million over the next three years. While this is was an important and exciting first step, that only represented about 4% of the total assets that MMMC attendees have direct access to, and we know that most of the participants at the conference are at the beginning of their redistribution journeys. A personal highlight for me was attending two body-based, healing justice workshops on Unlearning Classism in the Body (facilitated by RG staff members Jes Kelley and Shonettia Monique — while they were also running the whole conference! ), and Collective Resourcing (facilitated by Cara Page and Susan Raffo). 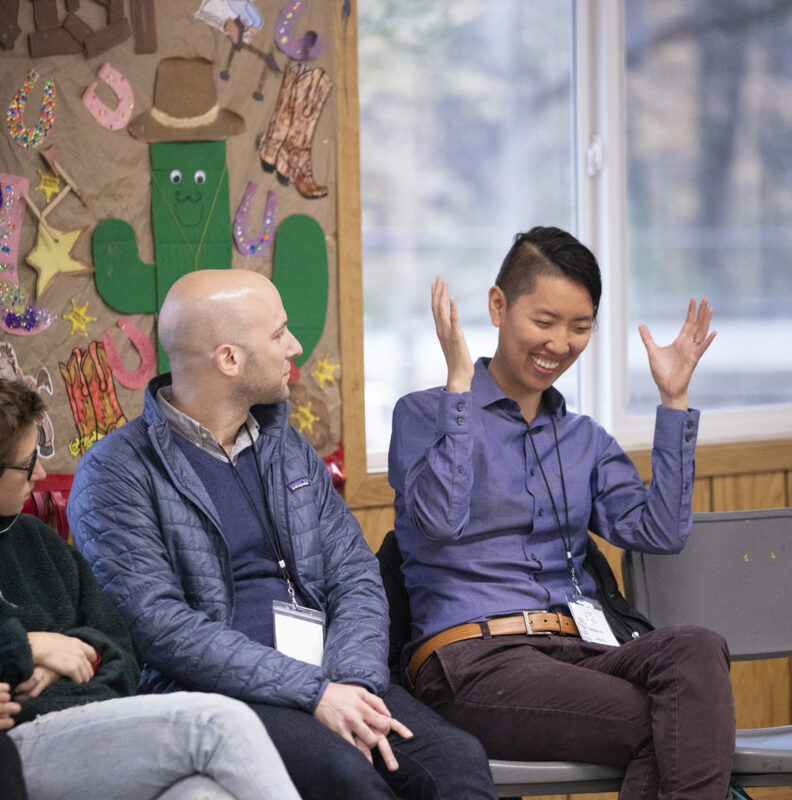 Having an opportunity to ground in body and spirit – and not just stay stuck in intellectualism – was so important for me to stay present for the whole retreat. 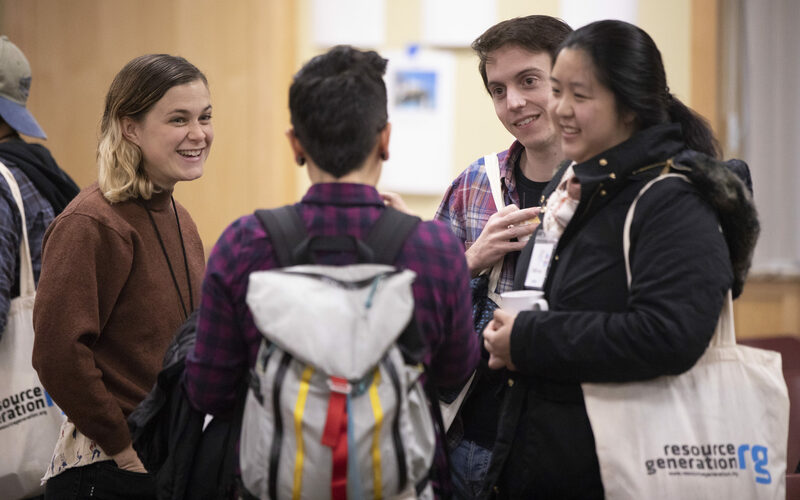 With the skills, relationships, and political analysis built at MMMC, participants left the conference fired up and ready to escalate their giving, join RG chapters, and participate in campaigns for economic and racial justice with our campaign partners. In the midst of the energy and momentum of the conference fell the tragedy of the Octover 27 massacre of 11 Jewish people — mostly elders — at the Tree of Life Synagogue in Pittsburgh. We were devastated by the news of this act of anti-Semitic terror, and an interfaith group of leaders (including Jewish member leaders) created a healing space centering Jewish ritual open to all who needed a space of reflection and grieving. I am grateful that we took a collective pause to connect, support each other, and show solidarity for the Jewish community and all communities harmed by white Christian nationalism. The time is now. 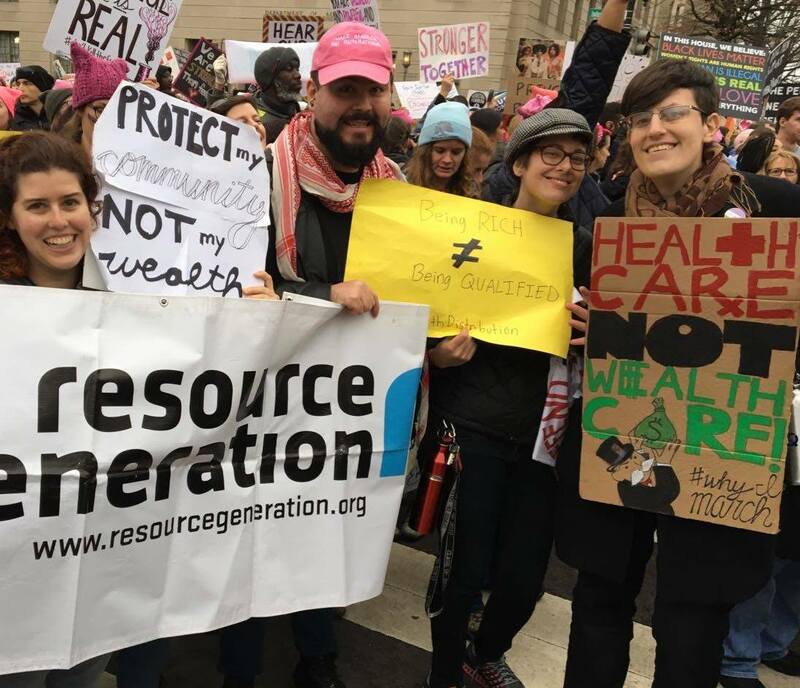 With the skills, relationships, and political analysis built at MMMC, participants left the conference fired up and ready to escalate their giving, join RG chapters, and participate in campaigns for economic and racial justice with our campaign partners. I’m proud and humbled to have played a role in this organizational milestone and can’t wait to see what we accomplish next. I really liked your comment about “grounding in body and in spirit and not just staying stuck in intellectualism.” It reminded me of work I need to be doing.